Academics at FHI bring the tools of mathematics, philosophy, social sciences, and the natural sciences to bear on big-picture questions about humanity and its prospects. Our mission is to shed light on crucial considerations that might shape humanity’s long-term future. We currently divide our work into four focus areas: Macrostrategy, AI Safety, Center for the Governance of AI and Biotechnology. FHI’s big picture research focuses on the picture of planet -term consequences of our actions today, and the complicated dynamics that are bound to shape our future in significant ways. A key aspect to this is the study of existential risks – events that endanger the survival of Earth-originating, intelligent life or that threaten to drastically and permanently destroy our potential for realising a valuable future. Our focus within this area lies in the impact of future technology capabilities and impacts (including the possibility and impact of Artificial General Intelligence or ‘Superintelligence’), existential risk assessment, anthropics, population ethics, human enhancement ethics, game theory, and consideration of the Fermi paradox. 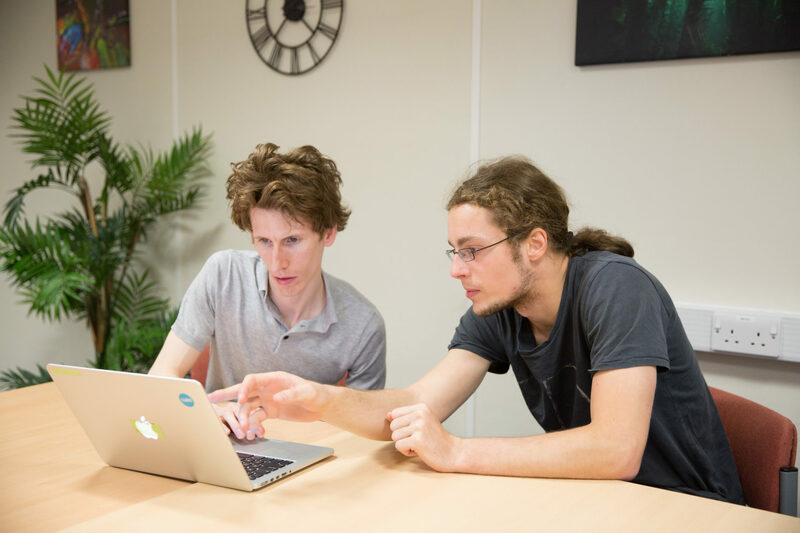 Many of the core concepts and techniques within this field originate from research by FHI scholars, they are already having a practical impact, such as in the effective altruism movement. 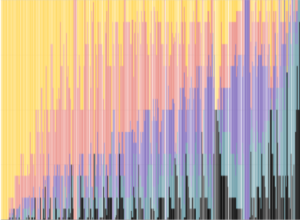 If a civilization wants to maximize computation it appears rational to aestivate until the far future in order to exploit the low-temperature environment: this can produce a 1030 multiplier of achievable computation. We hence suggest the “aestivation hypothesis”: the reason we are not observing manifestations of alien civilizations is that they are currently (mostly) inactive, patiently waiting for future cosmic eras. 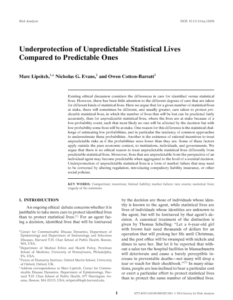 Existing ethical discussion considers the differences in care for identified versus statistical lives. However, there has been little attention to the different degrees of care that are taken for different kinds of statistical lives. This article considers agents that are purely motivated by an altruistic concern for the common good, and shows that if each agent acts on her own personal judgment as to whether the initiative should be undertaken, then the initiative will move forward more often than is optimal. 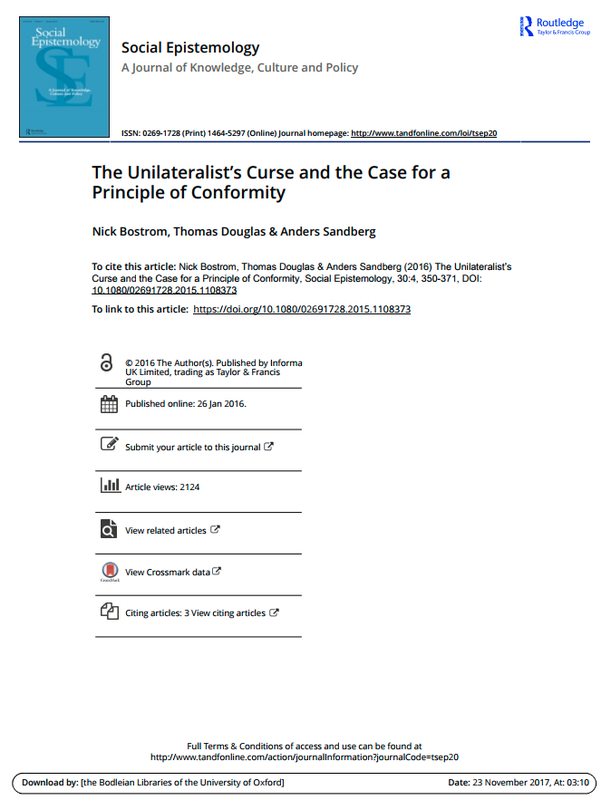 It explores the unilateralist’s curse. This paper discusses existential risks. 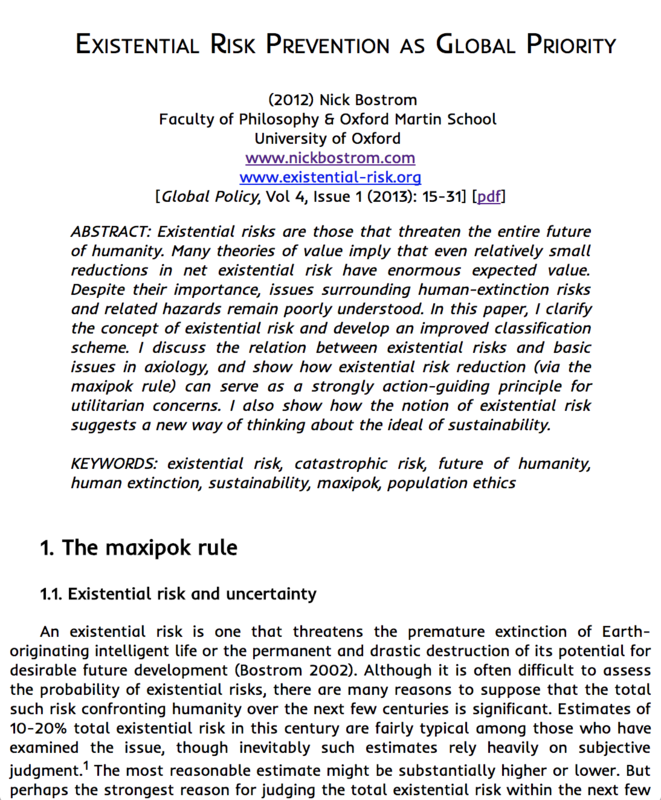 It raises that despite the enormous expected value of reducing the possibility of existential risk, issues surrounding human-extinction risks and related hazards remain poorly understood. 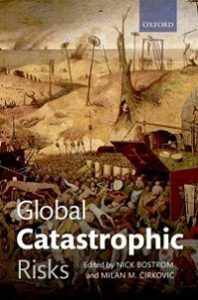 In Global Catastrophic Risks, 25 leading experts look at the gravest risks facing humanity in the 21st century, including asteroid impacts, gamma-ray bursts, Earth-based natural catastrophes, nuclear war, terrorism, global warming, biological weapons, totalitarianism, advanced nanotechnology, general artificial intelligence, and social collapse. The book also addresses over-arching issues – policy responses and methods for predicting and managing catastrophes. 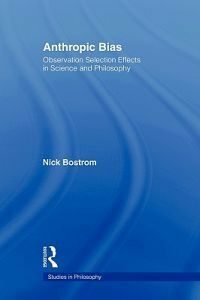 Anthropic Bias explores how to reason when you suspect that your evidence is biased by “observation selection effects”–that is, evidence that has been filtered by the precondition that there be some suitably positioned observer to “have” the evidence. 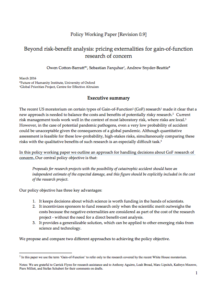 This paper argues that there are important new methodological problems which arise when assessing global catastrophic risks and we focus on a problem regarding probability estimation. Explores whether we have reason to believe that the long-term consequences of human cognitive enhancement would be, on balance, good. How unlikely is a doomsday catastrophe? This article considers existential risk and how many previous bounds on their frequency give a false sense of security. It derives a new upper bound of one per 10^9 years (99.9% c.l.) on the exogenous terminal catastrophe rate that is free of such selection bias, using planetary age distributions and the relatively late formation time of Earth. This paper considers how with very advanced technology, a very large population of people living happy lives could be sustained in the accessible region of the universe. It emphasizes that for every year that development of such technologies and colonization of the universe is delayed, there is an opportunity cost. Surveys of leading AI researchers suggest a significant probability of human-level machine intelligence being achieved this century. Machines already outperform humans on several narrowly defined tasks, but the prospect of general machine intelligence (AGI) would introduce novel challenges. The goal system would need to be carefully designed to ensure that the AI’s actions would be safe and beneficial. Avoiding AGI’s potential negative impact on the future of humanity is maybe one of the most important challenges of this century. 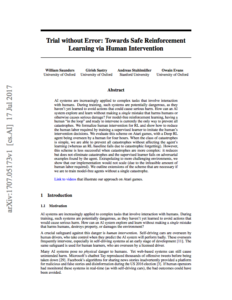 Current problems in AI safety include the risk of AGI to game their own reward functions, reinforcement learners being able to safely explore their environments as well as avoiding negative side effects of goal functions. FHI works closely with Deepmind and other leading actors in the development of artificial intelligence. How can AI systems learn safely in the real world? Self-driving cars have safety drivers, people who sit in the driver’s seat and constantly monitor the road, ready to take control if an accident looks imminent. 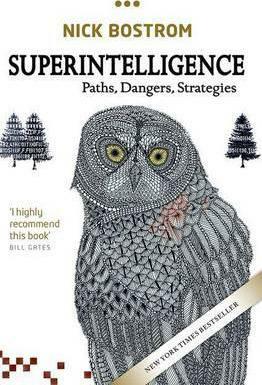 Could reinforcement learning systems also learn safely by having a human overseer? This paper introduces exploration potential, a quantity for that measures how much a reinforcement learning agent has explored its environment class. In contrast to information gain, exploration potential takes the problem’s reward structure into account. This leads to an exploration criterion that is both necessary and sufficient for asymptotic optimality (learning to act optimally across the entire environment class). This paper provides a formal definition of safe interruptibility and exploits the off-policy learning property to prove that either some agents are already safely interruptible, like Q-learning, or can easily be made so, like Sarsa. It shows that even ideal, uncomputable reinforcement learning agents can be made safely interruptible. A Bayesian agent acting in a multi-agent environment learns to predict the other agents’ policies if its prior assigns positive probability to them (in other words, its prior contains a grain of truth). Finding a reasonably large class of policies that contains the Bayes-optimal policies with respect to this class is known as the grain of truth problem. 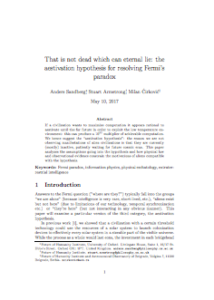 This paper presents a formal and general solution to the full grain of truth problem. This paper discusses a variant of Thompson sampling for nonparametric reinforcement learning in countable classes of general stochastic environments. It shows that Thompson sampling learns the environment class in the sense that (1) asymptotically its value converges to the optimal value in mean and (2) given a recoverability assumption regret is sublinear. An analysis of what people value and how this relates to machine learning. An introduction to the notion of corrigibility and analysis of utility functions that attempt to make an agent shut down safely if a shutdown button is pressed, while avoiding incentives to prevent the button from being pressed or cause the button to be pressed, and while ensuring propagation of the shutdown behavior as it creates new subsystems or self-modifies. This paper explicitly models structured deviations from optimality when inferring preferences and beliefs. 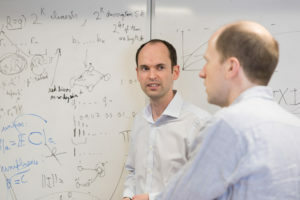 They use models of bounded and biased cognition as part of a generative model for human choices in decision problems, and infer preferences by inverting this model. In addition to working directly on the technical problem of safety with AI systems, FHI examines the broader strategic, ethical, and policy issues to reduce the risks of long-term developments in machine intelligence. Given that the actual development of AI systems is shaped by the strategic incentives of nations, firms, and individuals, we research norms and institutions that might support the safe development of AI. For example, being transparent about different parts of the AI research process differently shapes incentives for making safety a priority in AI design. 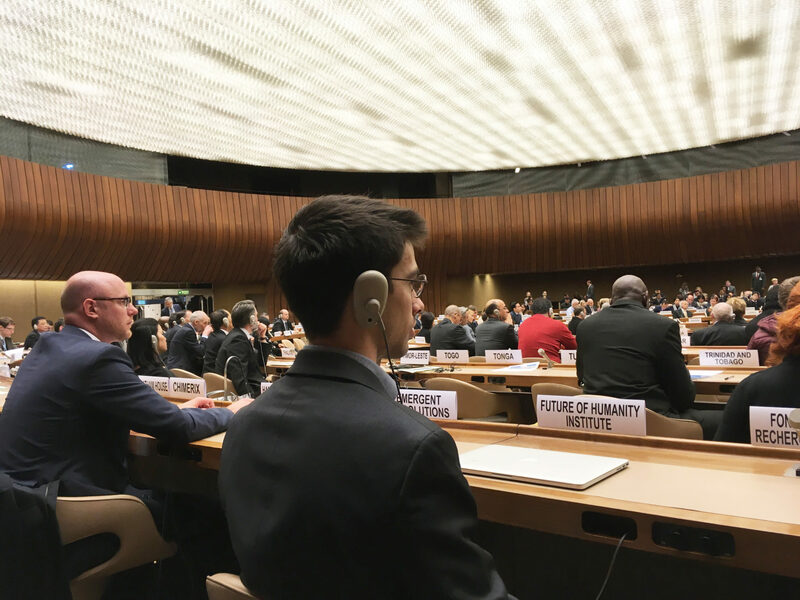 As part of this work, we participate as members of the Partnership on AI to advise industry and research partners and work with governments around the world on aspects of long-run AI policy. We have worked with or consulted for the UK Prime Minister’s Office, the United Nations, the World Bank, the Global Risk Register, and a handful of foreign ministries. You can read more about the Center for the Governance of AI here. Advances in artificial intelligence (AI) will transform modern life by reshaping transportation, health, science, finance, and the military. To adapt public policy, we need to better anticipate these advances. Here we report the results from a large survey of machine learning researchers on their beliefs about progress in AI. 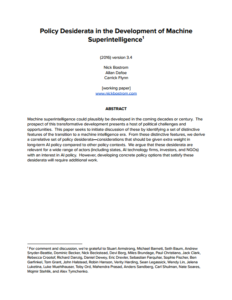 This paper seeks to initiate discussion of challenges and opportunities posed by the potential development of superintelligence by identifying a set of distinctive features of the transition to a machine intelligence era. From these distinctive features, we derive a correlative set of policy desiderata—considerations that should be given extra weight in long-term AI policy compared to other policy contexts. This paper attempts a preliminary analysis of the global desirability of different forms of openness in AI development (including openness about source code, science, data, safety techniques, capabilities, and goals). Over the next few decades, the continued development of dual-use technologies will provide major benefits to society. They will also pose significant and unprecedented global risks, this report gives an overview of these risks and their importance, focusing on risks of extreme catastrophe. Rapid developments in biotechnology and genetic engineering will pose novel risks and opportunities for humanity in the decades to come. Arms races or proliferation with advanced bioweapons could pose existential risks to humanity, while advanced medical countermeasures could dramatically reduce these risks. Human enhancement technologies could radically change the human condition. FHI’s biotechnology research group conducts cutting-edge research on the impacts of advanced biotechnology and their impacts on existential risk and the future of humanity. 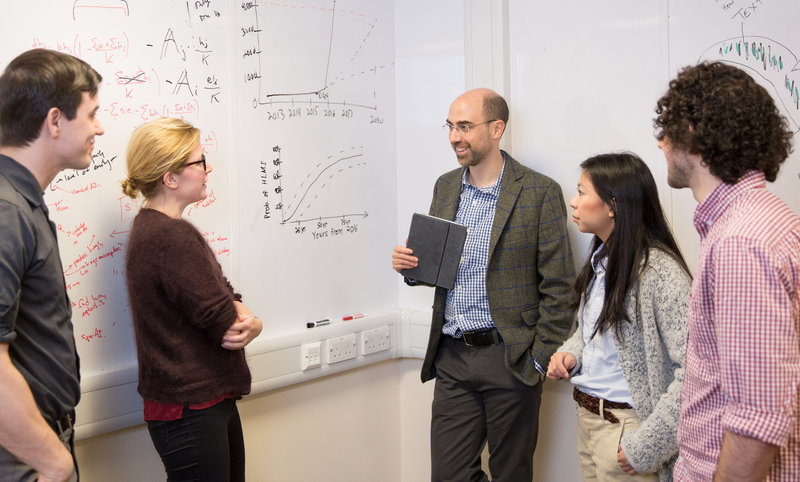 In addition to research, the group regularly advises policymakers: for example, FHI researchers have consulted with the US President’s Council on Bioethics, the US National Academy of Sciences, the Global Risk Register, the UK Synthetic Biology Leadership Council, as well as serving on the board of DARPA’s SafeGenes programme and directing iGEM’s safety and security system. In this policy working paper, we outline an approach for handling decisions about Gain of Function research of concern. 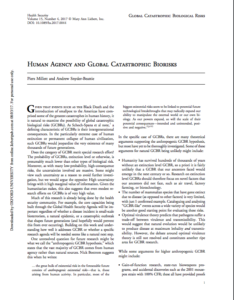 Given that events such as the Black Death and the introduction of smallpox to the Americas have comprised some of the greatest catastrophes in human history, it is natural to examine the possibility of global catastrophic biological risks (GCBRs). In the particularly extreme case of human extinction or permanent collapse of human civilization, such GCBRs would jeopardize the very existence of many thousands of future generations. Does the category of GCBR merit special research effort? 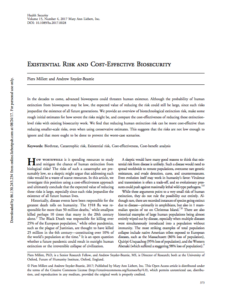 This paper provides an overview of biotechnological extinction risk, makes some estimates for how severe the risks might be, and compares the cost-effectiveness of reducing these extinction-level risks with existing biosecurity work. The authors find that reducing human extinction risk can be more cost-effective than reducing smaller-scale risks, even when using conservative estimates. This suggests that the risks are not low enough to ignore and that more ought to be done to prevent the worst-case scenarios. 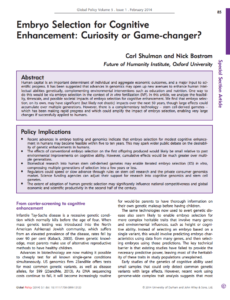 Embryo Selection for Cognitive Enhancement: Curiosity or game-changer? In this article, we analyze the feasibility, timescale, and possible societal impacts of embryo selection for cognitive enhancement. We find that embryo selection, on its own, may have significant (but likely not drastic) impacts over the next 50 years, though large effects could accumulate over multiple generations. However, there is a complementary technology – stem cell-derived gametes – which has been making rapid progress and which could amplify the impact of embryo selection, enabling very large changes if successfully applied to humans.